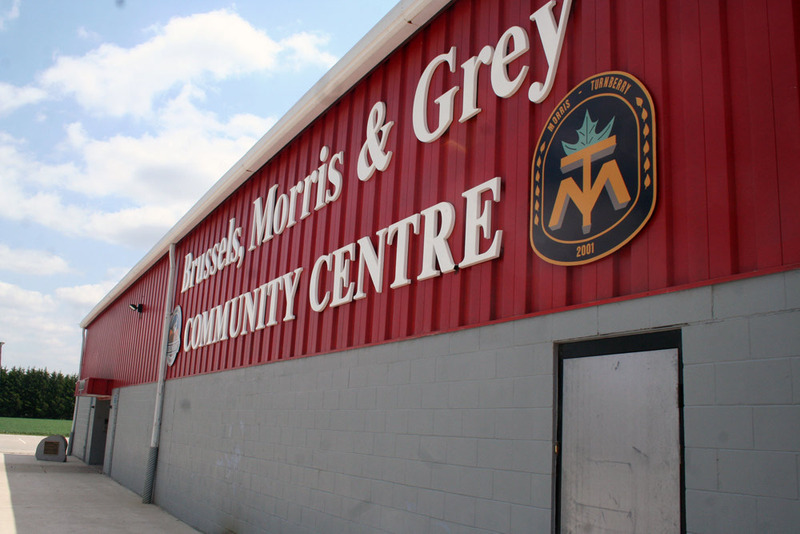 Huron East Council is considering lending its support to the Brussels, Morris and Grey Community Centre renovation committee after a presentation on Jan. 22. Members of the committee spoke to Huron East Council at its Jan. 22 meeting, presenting its plan for the renovation and expansion of the beloved centre and associated costs. While the planned improvements to the centre are anticipated to cost $4.5 million, the committee feels that the first step is to engage the services of Campaign Coaches for a feasibility study to determine if the community is able to support a project that will cost that much. The cost of the feasibility study is $25,000 and the committee hopes that Huron East and Morris-Turnberry Councils will step up to the plate and help fund the study so the committee knows where it stands with the community. Nicole Noble, the past-president of the Brussels Recreation Committee, addressed council on the issue, saying that members of the three committees associated with the renovation – the recreation committee, the renovation committee and the fundraising committee – all felt that bringing on Campaign Coaches was a step in the right direction. With their work on several local arenas, including Listowel, Noble said that committee members felt the company could help Brussels achieve its goals. She said that the company believes strongly in campaigns not running longer than one year, lest the community find itself with a case of donor fatigue. Noble also said that the study would focus on securing larger donations that are compatible with the statistics that show that 80 per cent of donations come from 20 per cent of a campaign’s donors. Councillor Alvin McLellan spoke in favour of the proposal. As a member of the renovation committee, he said that members felt it was the best way to proceed, ensuring that committee members knew where they stood before committing to anything. Councillor Ray Chartrand was concerned, however, saying he thought council would be apprised of progress along the way and presented with several options before the wheels really started to turn. McLellan said that the committee decided to drop the concept of several ideas early on in the process, opting instead to try and build the best community centre it could. He reported those details back to council as the meetings were held. McLellan said he really felt that engaging the public one last time was essential to the success of the project. The committees have met with members of the public, user groups and service clubs along the way and now, to gauge the community’s ability to raise over $4 million would be an important step in the process. He said the committee has worked hard and done its best to come back with what members feel is the best path forward. However, if the community can’t pay for it, then that’s something the committee needs to know sooner, rather than later. “At the end of the day, if there’s not enough money, then the committees have some hard questions to answer,” McLellan said. Mayor Bernie MacLellan said that it’s council’s policy to not approve a grant request at the same meeting it was presented, however, he was supportive of the study. He said that renovation and expansion at a cost of over $4 million is a lot of money and determining whether the community can afford it would be a prudent move at this point. While MacLellan said he felt the project was worthwhile, if the study comes back and determines that the community can’t afford the high costs and has to reduce its expectations, then there’s a study that makes that official. Huron East staff will prepare a report on the request and council will address the issue at its next meeting, scheduled for Tuesday, Feb. 5 in Seaforth.